Paul M. Hyman | Hyman, Phelps & McNamara, P.C. 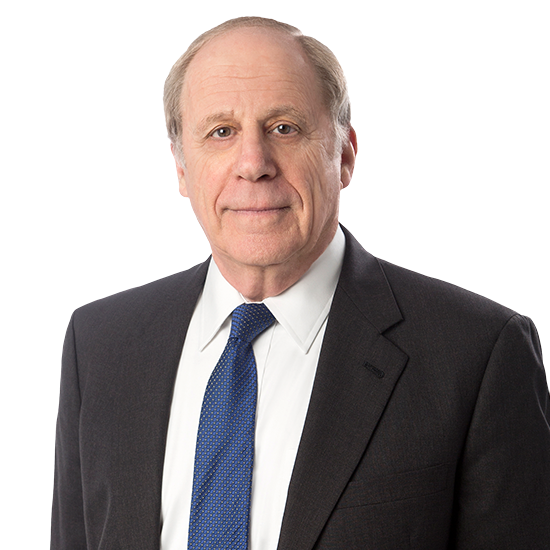 Paul M. Hyman is a founding member of Hyman, Phelps & McNamara. Since opening the firm in 1980, he has led efforts to make it the premiere FDA law practice. He brings five decades of perspective to the regulatory priorities and policies of FDA and FTC. Mr. Hyman has advised clients on nearly every aspect of FDA regulation, ranging from premarket approvals, to labeling and post-market compliance, and has defended against enforcement actions such as warning letters, recalls, and court actions. He has wide-ranging experience interpreting FTC regulation of advertising and promotion. Mr. Hyman has advised clients from pharmaceutical, medical device, OTC drug, cosmetic, food, and dietary supplement companies. His understanding of the federal and state regulatory landscape helps clients meet their business objectives while managing risk. In recent years, Mr. Hyman has focused on regulatory issues surrounding OTC drugs, cosmetics, food, medical foods, and dietary supplements. Throughout his career, Mr. Hyman has held several leadership positions in industry organizations and on advisory boards. He chaired the Federal Bar Association’s Food and Drug Law Committee from 1972 to 1974. Mr. Hyman was a member of the Board of Directors of the American Council on Science and Health from 1987 to 1989, and a member of the Editorial Advisory Board of the Food and Drug Law Journal from 1995 to 1997. He was counsel to the Regulatory Affairs Certification Board from 1993 until 2002. Mr. Hyman began his career as a trial attorney in the Chief Counsel’s Office of FDA (then the HEW Office of General Counsel, Food and Drug Division). He later entered private practice in Washington, D.C., ultimately co-founding Hyman, Phelps & McNamara in 1980. Assists with regulatory strategies for manufacturers. Counsels clients on OTC monograph and related rulings and interpretations. Advises on labeling and advertising materials. Helps clients develop regulatory and business strategies. Provides guidance on FSMA and FDA’s interpretation and implementation of its requirements. Provides counsel on recalls and inspections. Assists with responses to warning letters and FDA Form 483’s. Defend challenges from FDA, FTC, NAD and other regulatory bodies.